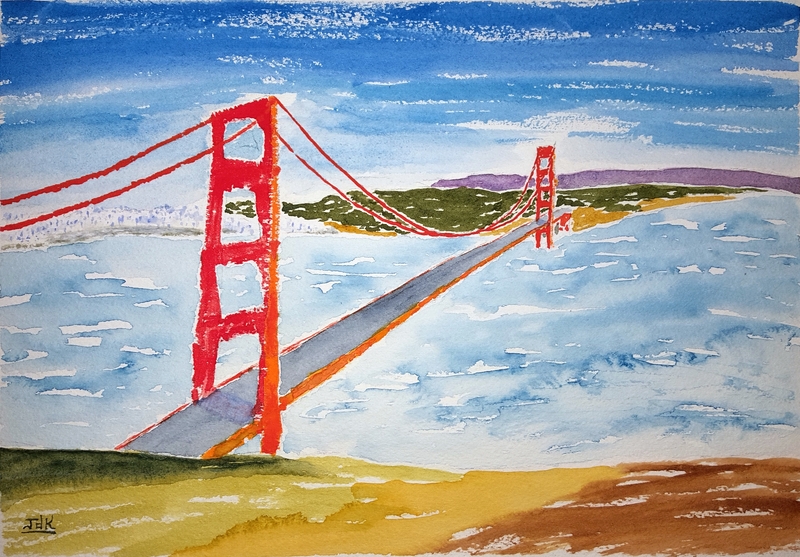 I’ve been thinking about starting to work in a more abstract style and this Golden Gate Bridge scene is a small step in that direction. It’s the second time I’ve painted this famous view, looking south across the bay toward San Francisco. In this fresh take, I was going for a fluid, slightly twisted feel with vibrant colors and lots of texture. It was a fun little exercise. I hope you like this new direction!